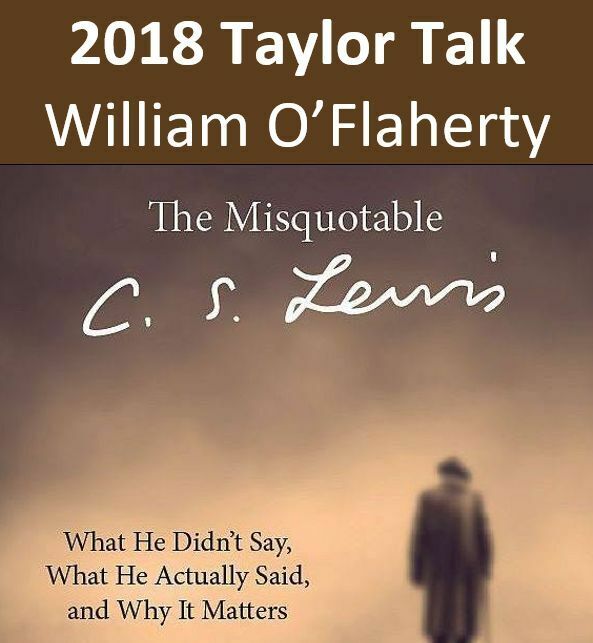 IN THIS REPEAT: My last short talk (paper) at Taylor University...it's about my book, The Misquotable C.S. Lewis. I gave the following short talk on Friday, June 1, 2018 at the Taylor University Colloquium. My brief presentation was part of a variety of academic papers that were presented. The full title of my talk was Surprised By Misquotes: Unexpected Findings from The Misquotable C. S. Lewis. In it, I share some of the unusual details from my years of researching quotations credited to Lewis that he did not write. This talk, however, only gives a small snapshot of what is in the book.